Mainstream awareness-raising activities: We had 1,428 stories in the media resulting in 50.5 million opportunities for people to see our messages about the importance of understanding food allergy. This coverage included the front page of the Sydney Morning Herald, the Sunday Telegraph, ABC Weekend Breakfast TV, Channel 9 News, Woman’s Day, Australian Women’s Weekly and an interview with Alan Jones on 2GB. A huge thank you to all our members who put their hand up to share their story with the media that helped us achieve these great results.Additionally, we shared important information with more than 300 influential people and organisations (allergy clinics, dietitians, bloggers, first aid providers and relevant organisations) to distribute among their networks in any way possible. Schools, preschools & day-care centre communications: 13,000 schools, preschools and day-care centres across the country received three e-newsletters about Food Allergy Week, alerting them to the resources (teaching toolkit, posters, animations) available. More than 200 schools, preschools and daycares were sent a pack of posters including the signs and symptoms of an allergic reaction. Resources: A new animation was created that explains the signs and symptoms of an allergic reaction in a simple and engaging way. Launched on Facebook, this single resource reached 277,000 people. To view the animation, check it out here. 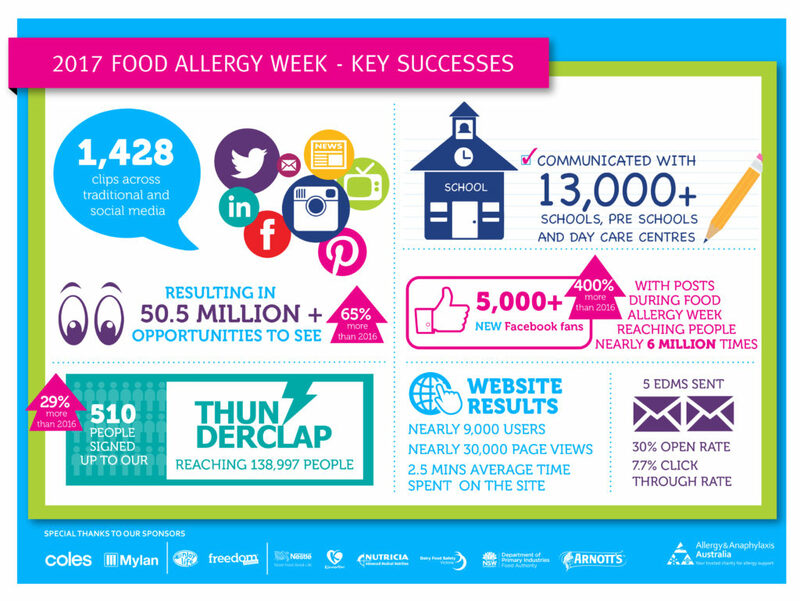 Website: There were nearly 30,000 page views of the Food Allergy Week website shortly before and during Food Allergy Week. 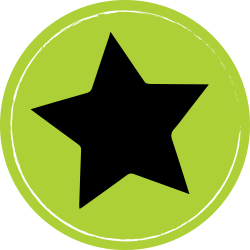 More than 1,700 people clicked to download a badge to use as their profile picture.